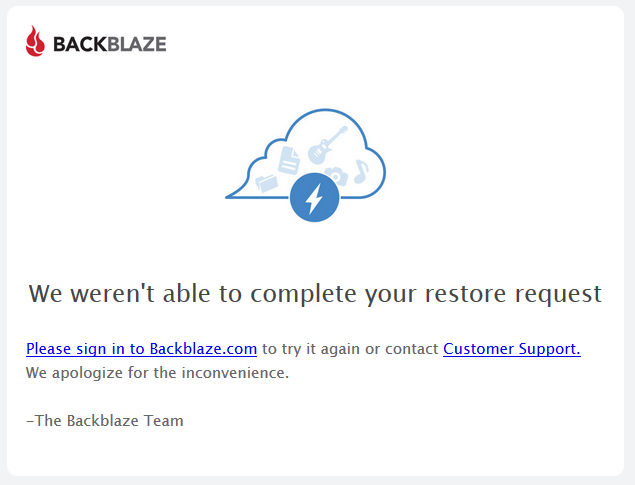 Backblaze: We weren’t able to complete your restore request. Posted on March 4, 2018. Bookmark the permalink. Leave a comment.